Lambrusco is made to be drunk, roughly, at any time of day that you’re ok with. I only say ok with because my mother always said make sure it’s after midday! It’ll go great with lunch, with an afternoon snack, and with dinner as well. That’s the great thing about the real deal Lambrusco. The dry wine (not sweet), bursting with big fruit flavours, and with an amazing lift of bubbles to always leave you wanting more. It goes with so much! I’m going to go for something that I’m genuinely obsessed with! 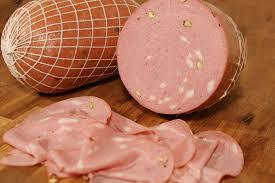 Charcuterie, but more to the point, Emilia Romagna’s finest (in my eyes anyway): Mortadella! Whenever I go to Italy it’s the first thing on my shopping list. I’m going to have to excuse the Brits from thinking it closely resembles Spam! It kind of does, but that’s where the comparisons end. A light cooked sausage usually with all kinds of nuts and spices thrown in for flavour, it’s amazing, especially if you can find figs to go with! Other members of the board will be prosciutto crudo (cured, not cooked, ham), salami (of all shapes and sizes), and of course shavings of parmesan sprinkled with balsamic vinegar. Sounds good doesn’t it! Yum! Not a huge mortadella fan, but give me some parmesan or pecorino, and I am in.